Join Asia Society Texas Center and OCA Greater Houston for a screening of Signature Move to open the 2018 Houston Asian American Pacific Islander (HAAPI) Film Festival. Following the screening will be a Q&A with the star and writer of Signature Move, Fawzia Mirza, and a VIP reception with drinks and light snacks. For additional selections from HAAPI Film Festival, please visit http://www.ocahouston.org/event-2872510. Signature Move is a hilarious and heartfelt look at modern families and the complexities of love in its many forms. Zaynab (Fawzia Mirza) is a thirty-something Pakistani, Muslim, lesbian lawyer living in Chicago who begins a new romance with Alma (Sari Sanchez), a confident and vivacious Mexican-American woman. Zaynab’s recently widowed mother, Parveen (Shabana Azmi,) has moved in and spends her days watching Pakistani TV dramas while searching for a potential husband for her only daughter. Alma’s mother, Rosa (Charin Alvarez), is a former professional Luchadora which Zaynab finds fascinating as she has recently taken up lucha-style wrestling training with a former pro wrestler. Zaynab tries to keep both her love life and her wrestling a secret from her Muslim mother, who knows more than she lets on. Signature Move is a comedy that celebrates the many faces of this country at a time when stories of diversity and acceptance are needed more than ever. It’s a wild, vibrant, and very American mix of cultures, generations, and wrestling. Fawzia Mirza is an actor, producer, and writer who believes in dispelling the myth of the ‘model minority’ in mainstream media, and in the power of comedy to tackle divisive topics and breakdown stereotypes. In the last two years, she was named a White House ‘Champion of Change’ in Asian American Art & Storytelling, a 3Arts Grant Recipient in Acting, a ‘Top 10 Creative’ by Indiewire, one of Chicago's ‘Rising Stars’ of indie filmmaking, the 2017 3Arts Fellow at the Djerassi Residents Artists Program and was named to New City Magazine’s ‘Film 50’ list. She has written for theater, including one-woman play Me, My Mom & Sharmila which she performed in Pakistan sponsored by the US Embassy, and which she’s developing into a feature film. She has created and produced web series, short films, art installations, stand-up comedy, and more. The HAAPI Fest, started in 2004 by OCA (Organization of Chinese Americans) Greater Houston, was created to highlight and celebrate the diversity of culture, food, and stories of the Asian American Pacific Islander (AAPI) community, to support AAPI artists and filmmakers, and to share the messages, issues, hopes, and dreams of the AAPI experience for the Greater Houston metropolitan area through edutainment. Founded in 1973, OCA is a national organization of community advocates dedicated to advancing the social, political, and economic well-being of Asian Americans and Pacific Islanders in the United States. Established in 1979, the OCA Greater Houston Chapter is one of OCA’s 100+ chapters and affiliates and works to provide strong local programs that empower the AAPI community through advocacy, cultural awareness, professional development, economic empowerment, youth leadership training, civic engagement, community service, and education. Major support for Performing Arts programs comes from Nancy C. Allen, Dr. Ellen Gritz and Milton Rosenau, the City of Houston through Houston Arts Alliance, and the Anchorage Foundation. 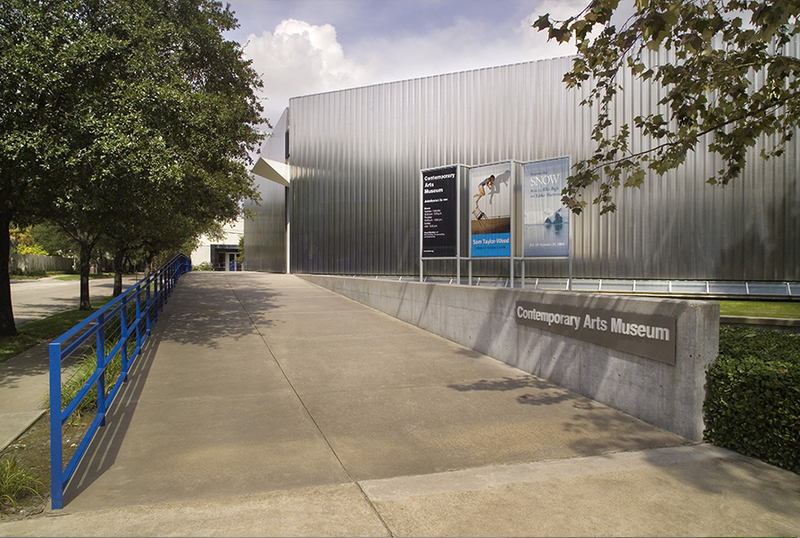 Generous funding also provided by AARP, The Clayton Fund, Miller Theatre Advisory Board, New England Foundation for the Arts, the Wortham Foundation, the Texas Commission on the Arts, and through contributions from the Friends of Asia Society, a premier group of individuals and organizations committed to bringing exceptional programming and exhibitions to Asia Society Texas Center. This program is presented in collaboration with OCA Greater Houston and HAAPI Film Fest.